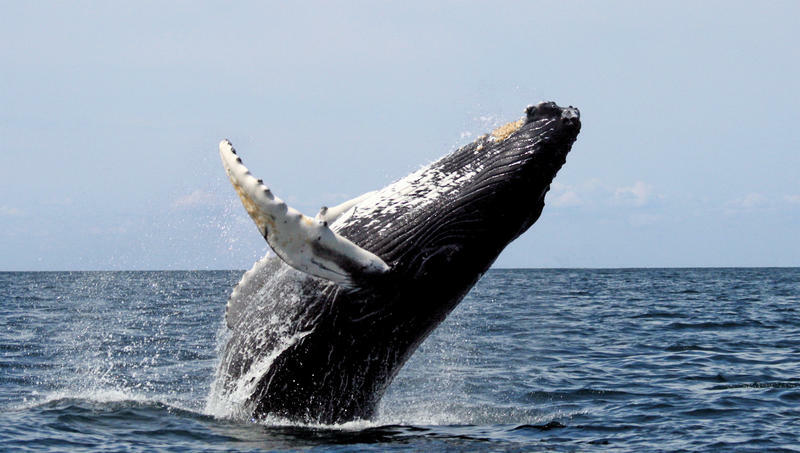 What’s up with our humpback whales? That’s the question that started to be asked as reports began trickling in across the Pacific that maybe the numbers were smaller than in previous whale watching seasons. 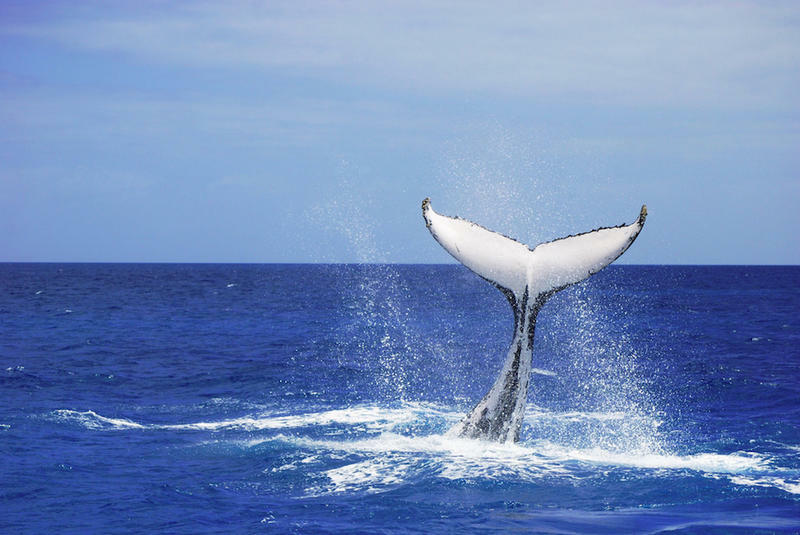 We talked to Ed Lyman with the NOAA’s National Marine Whale Sanctuary on Maui about what he was hearing and seeing out in the field. 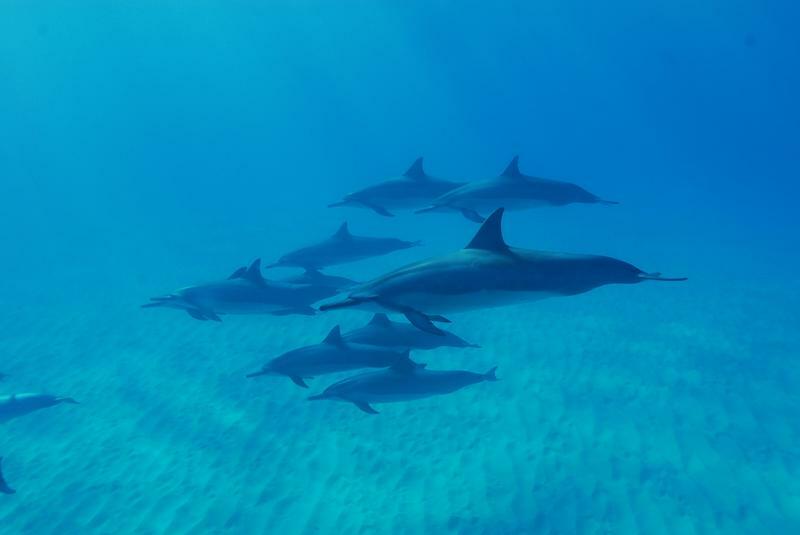 Last month, officials with the National Oceanic and Atmospheric Administration said it fined three individuals for harassing a pod of spinner dolphins off Makua Beach on Oahu. 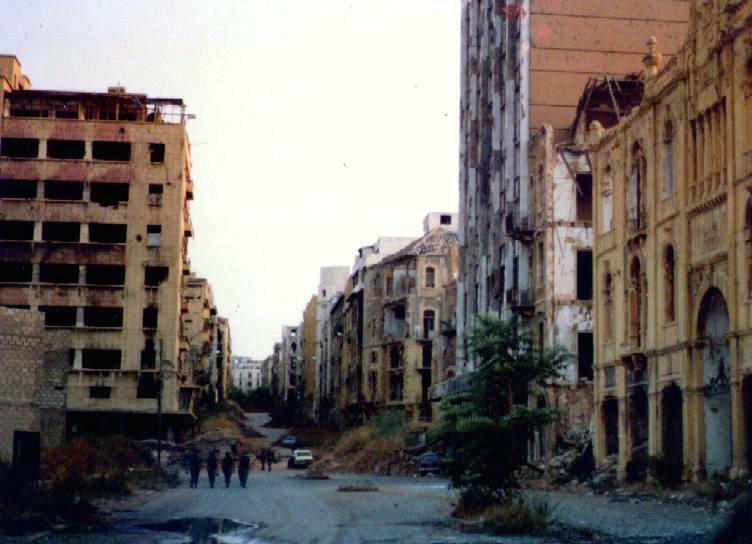 Although the city was widely reported, NOAA officials felt the main takeaway slipped through the cracks. 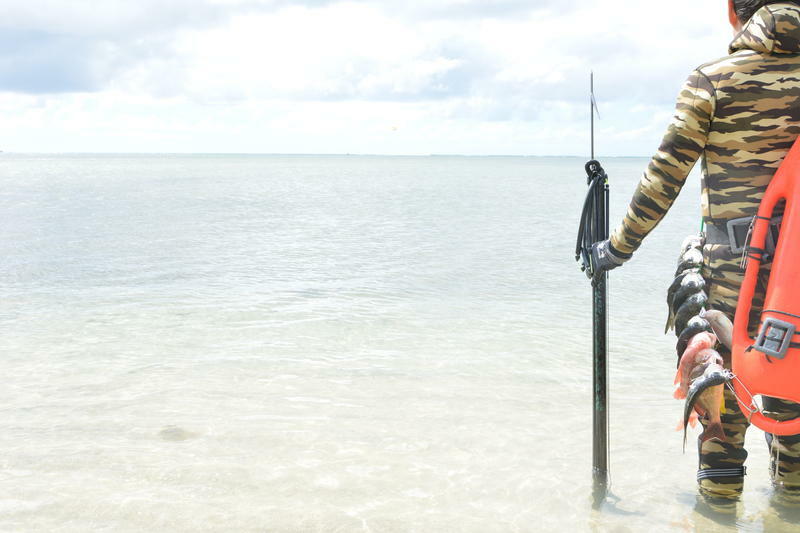 Biologists are seeking the public’s help in tracking green sea turtles in the state. Hurricane Season in Hawai’i officially starts next month and forecasters are expecting above normal activity. HPR’s Wayne Yoshioka reports. Conservationists and researchers now have an estimation of how much fish is being caught from Hawaii’s near-shore reefs. 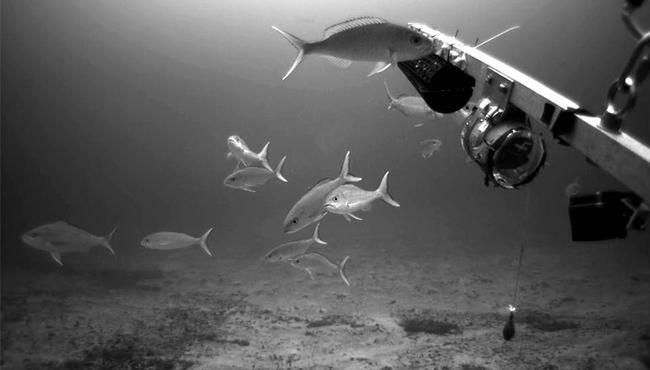 Seven popular species of bottom fish are thriving in waters around the main Hawaiian Islands. 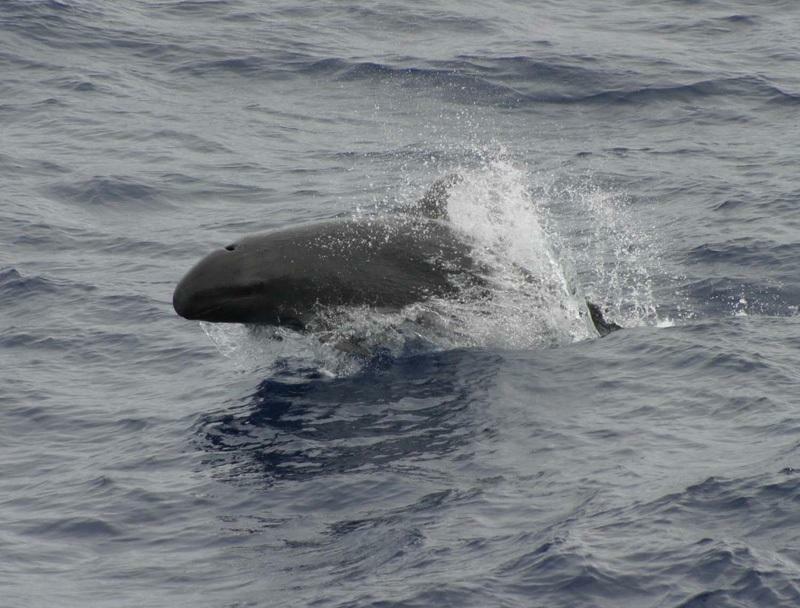 A community meeting is planned about a proposed habitat protection area for False Killer Whales in the state. 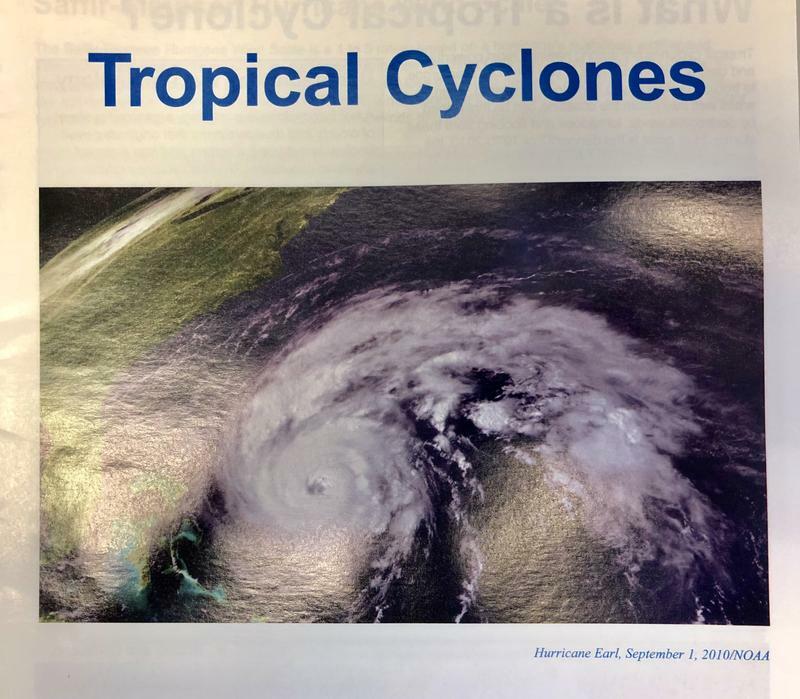 The Hurricane Season Forecast for the state was announced today. HPR’s Wayne Yoshioka was there and files this report. 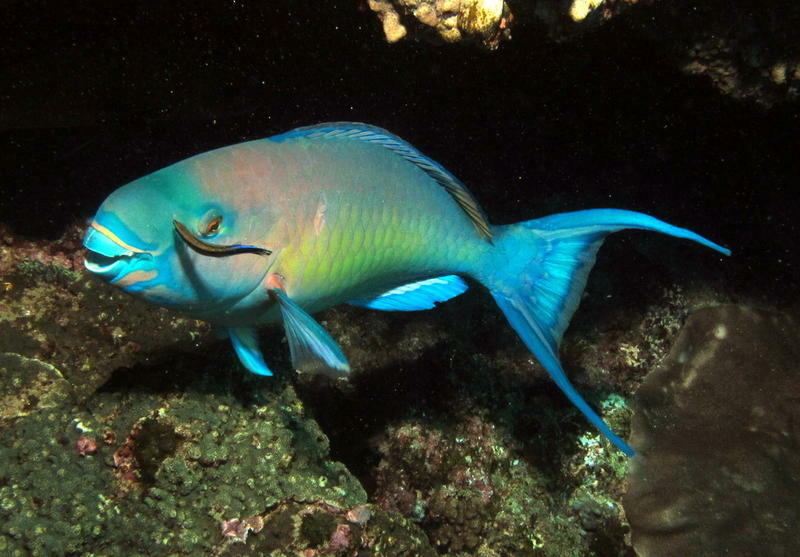 An assessment of Hawaii’s reef fish populations shows that 11 species are possibly overfished. The Office of Hawaiian Affairs has been named as co-trustee to the Papahānaumokuākea Marine National Monument. The area is the largest fully protected conservation area in the US, encompassing 583,000 square miles of ocean, small islands, and atolls in the Northwestern Hawaiian Islands. 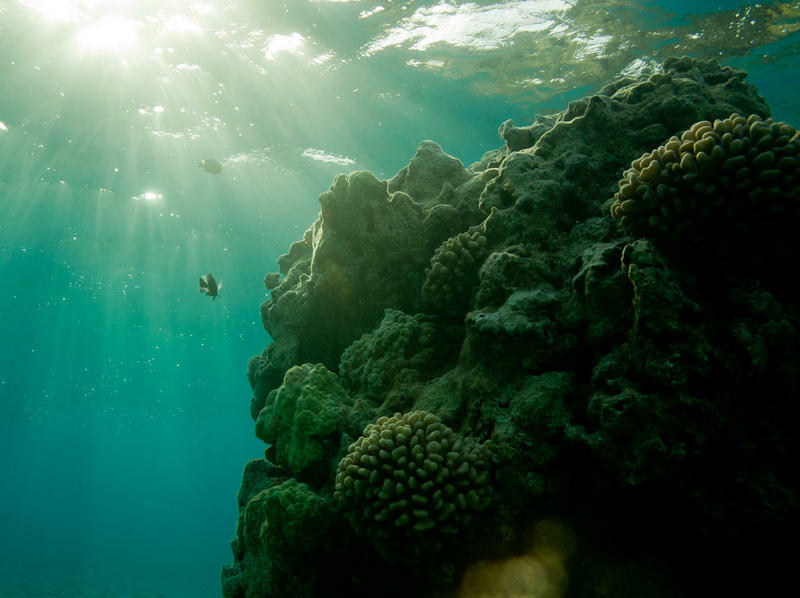 It's home to more than 7,000 marine species, a quarter of which are found only in the Hawaiian Archipelago. 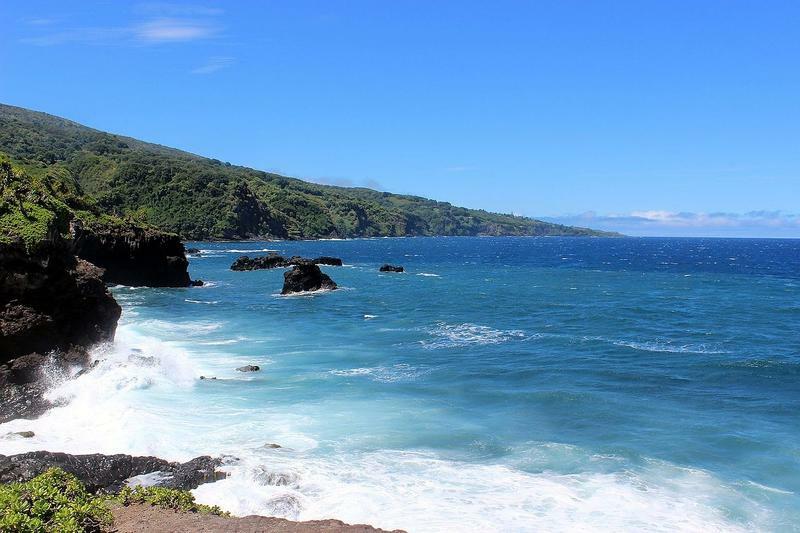 It’s also a significant cultural site to Native Hawaiians, containing both historical and spiritual places. 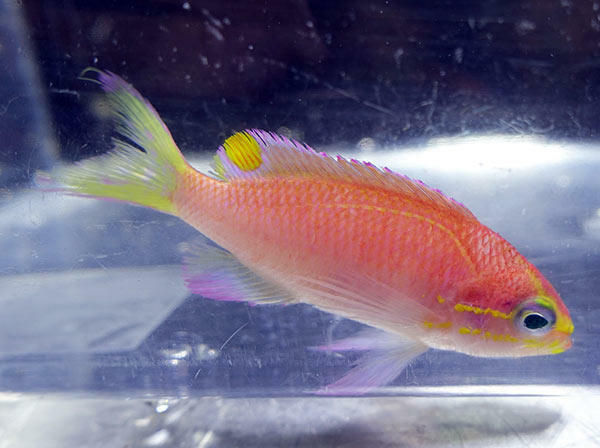 Scientists with the National Oceanic and Atmospheric Administration have named a fish after President Obama. 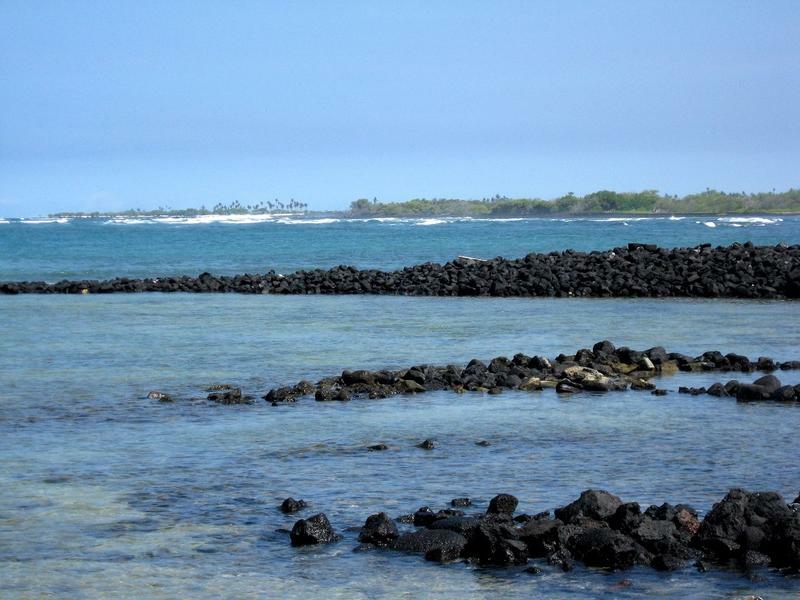 The National Oceanic and Atmospheric Administration is requesting $9 million to fund local projects around the country to benefit fish habitat restoration projects. The Community-based Restoration Program distributes funding to seventeen different costal and marine habitat restoration efforts. Town Square: Senator Schatz sent his proposal to expand the Papahānaumokuākea Marine National Monument to the President for his consideration. But what do both conservationists who liked the original idea and the fishermen who opposed it say about this new proposal? 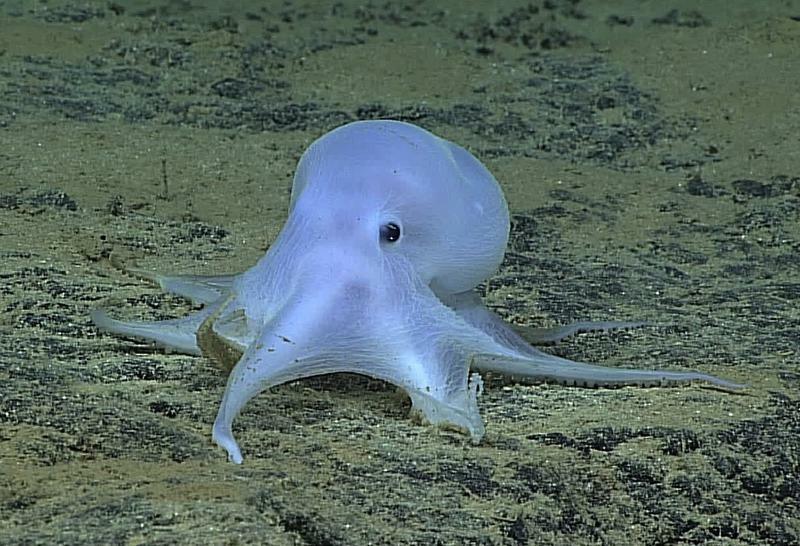 A new species of octopus has been discovered in deep waters further up the Hawaiian chain. Researchers aboard the National Oceanic Atmospheric Administration ship Okeanos discovered the creature at a depth of 4,000 meters. Scientists were studying a connection between Necker Island and its ridge when they came upon the animal sitting on a flat rock. Today on Bytemarks Café, join us as we take a voyage to the Papahānaumokuākea Marine National Monument. 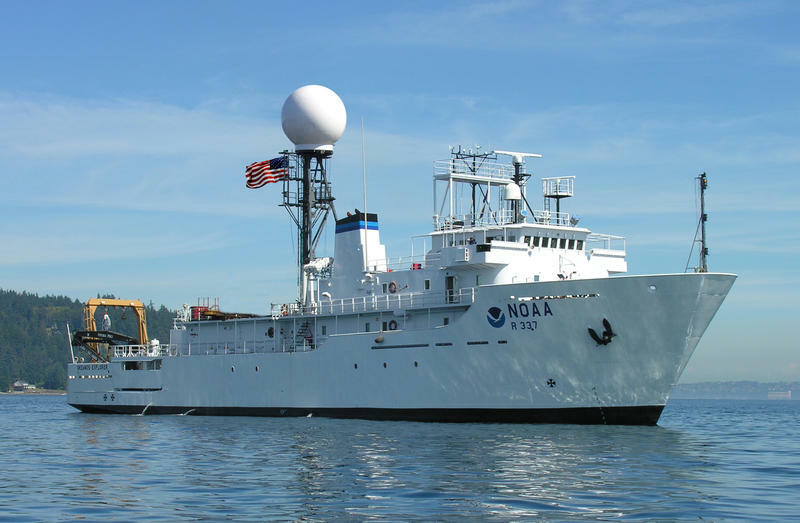 We'll talk to researchers on the NOAA vessel Okeanos and learn about their mission and what they expect to discover. 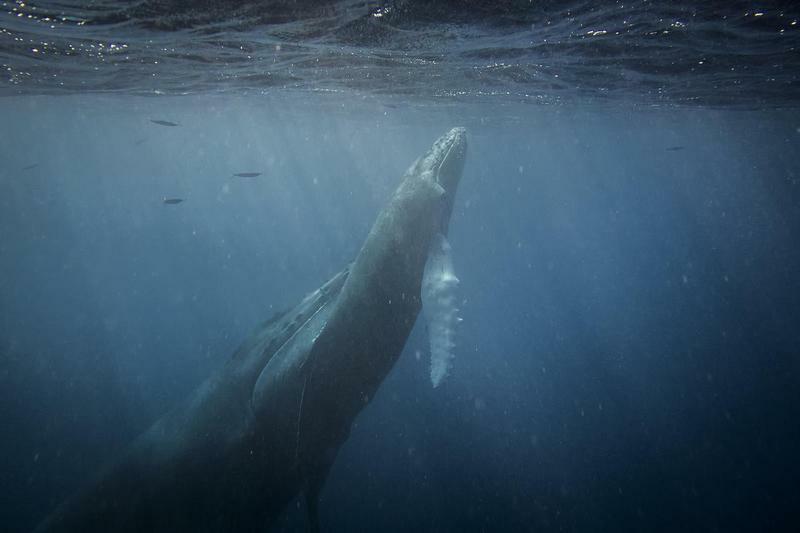 The Hawaiian Islands Humpback Whale National Marine Sanctuary will remain in its current form. 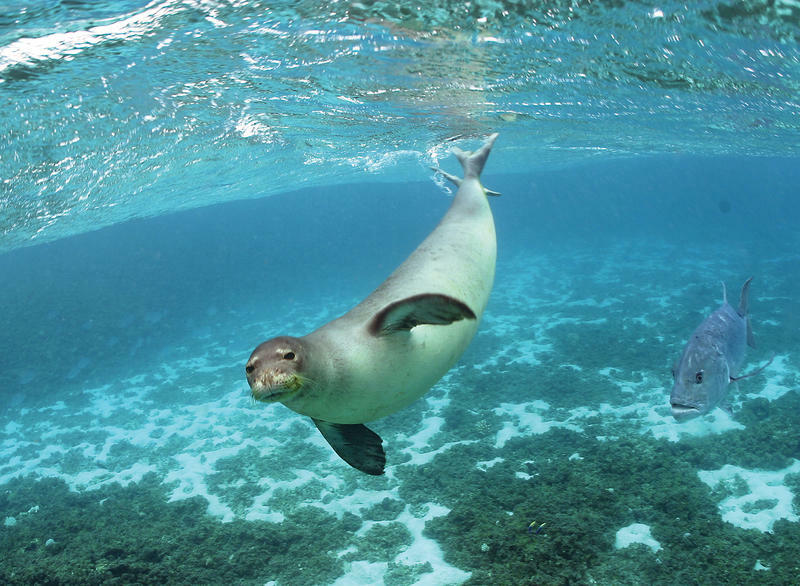 The National Oceanic and Atmospheric Administration had proposed broadening the sanctuary to include a larger area and the protection of other species. But after a lengthy process including public hearings and discussions with the State Department of Land and Natural Resources, NOAA has decided to withdraw its proposal. Allen Tom is the Regional Director of NOAA’s Office of National Marine Sanctuaries. 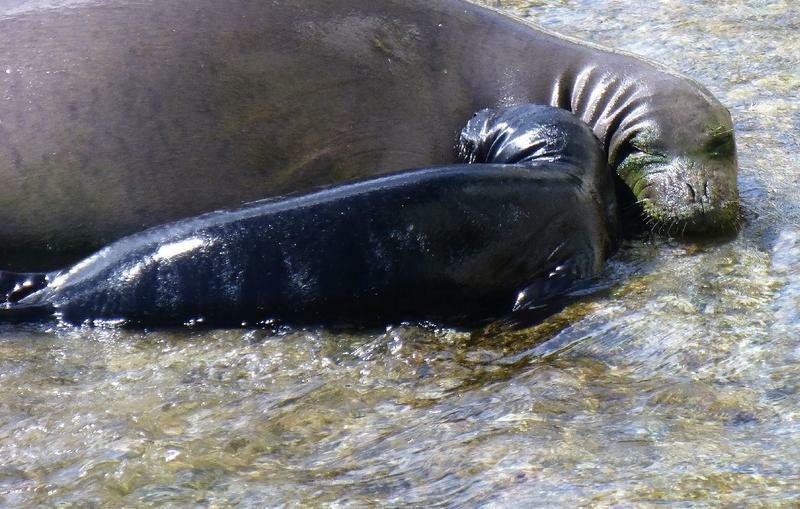 An abandoned monk seal pup is now being cared for in Kona. The emaciated pup was found on Monday during a survey being conducted by the National Oceanic and Atmospheric Administration on Ni‘ihau. Rescue workers who discovered the seal waited to see if the seals mother would return. When it was clear she was gone, they arranged for the seals transport. 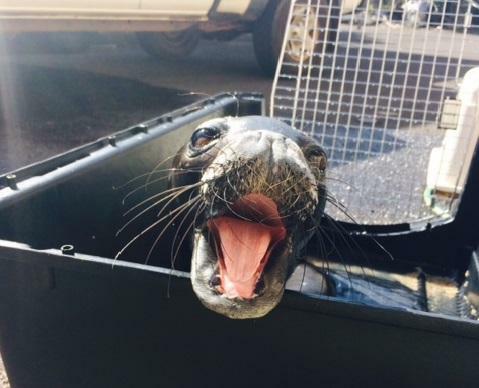 The Robinson family and the US Coast guard transported the pup to the Ke Kai Ola monk seal rehabilitation facility in Kona. 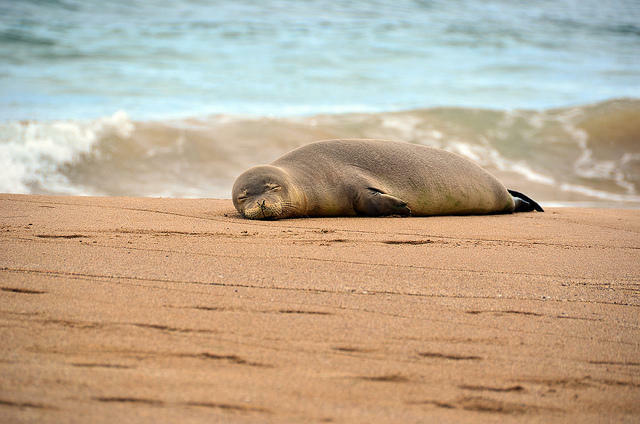 More protections are on the way for the Hawaiian monk seal. Federal officials issued a final rule on the marine mammal’s critical habitat, expanding it by nearly 7,000 square miles. And as HPR’s Molly Solomon reports, the new rule could go a long way in helping the endangered species survive. Measles is a virus often associated with children. 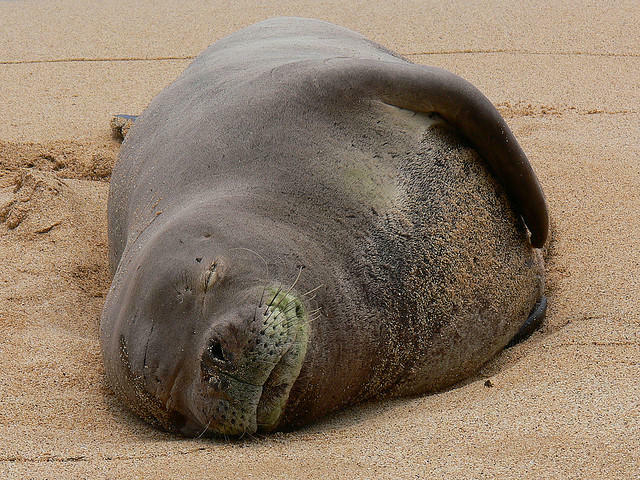 But a form of measles could threaten one of the state’s critically endangered marine mammals. And that’s got officials with the National Oceanic and Atmospheric Administration jumping into action. HPR’s Molly Solomon reports. 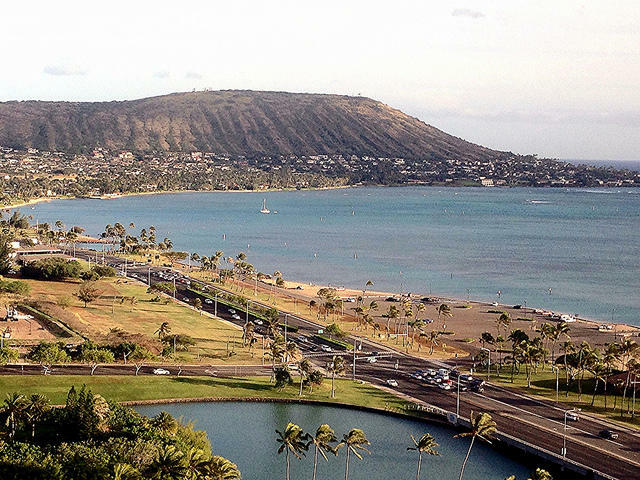 Hawaii said aloha to the first of its winter vacationers. 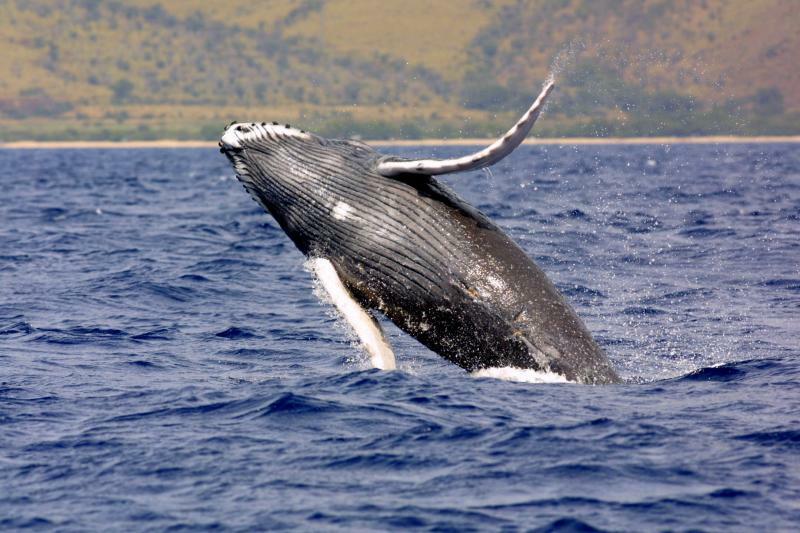 The first humpback whale of the season was spotted Monday in waters off of Kaua‘i. Chandra Bertsch is the general manager of the tour company Holo Holo Charters. The sighting was two weeks earlier than last year, when the first whale was spotted October 4. But it’s not the earliest -- 2 years ago humpbacks were seen as early as late August. NOAA has a new eye in the sky over the islands. 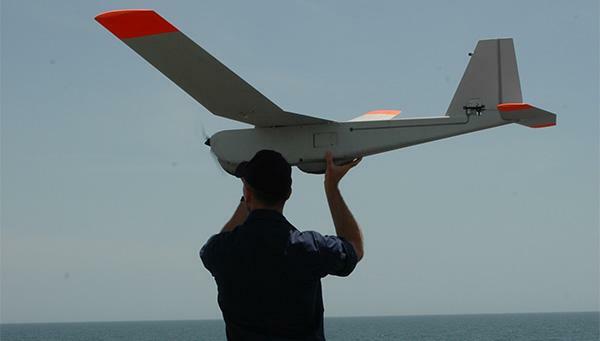 Researchers with the National Oceanic and Atmospheric Administration are using unmanned aircraft to improve research in the Northwestern Hawaiian Islands. The Puma is a small thirteen pound aircraft that is launched from the Hi’ialakai research ship. It’s quipped with video and infrared cameras that are mounted on a 360 degree gimbal. It flies ahead of the team and takes pictures and video of everything from monk seals to marine debris. Todd Jacobs is the Puma project manager.